Bret Taylor has certainly been around the Silicon Valley block. 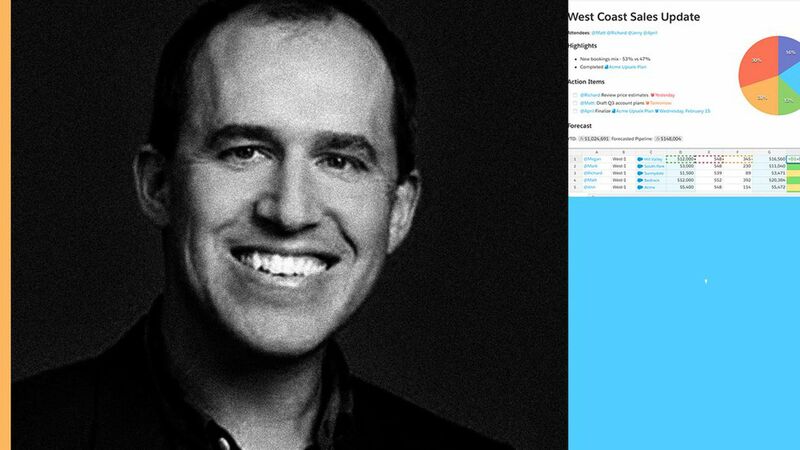 He began his career at Google, was CTO of Facebook, founded a couple of startups, and is now at Salesforce after it acquired his latest company, Quip — a tool for online document and project management. Axios recently caught up with Taylor to chat about everything from the future impact of automation to changes in workplace tools. Why it matters: Technology hasn't only drastically changed how people get stuff done on the job, but it's also on the cusp of changing the nature of jobs themselves. There's a lot of talk about automation and AI, how it's shaping how people work and jobs. How do you think about these trends? It's just helping people get their jobs done better and more efficiently, to make better decisions. [Salesforce CEO] Marc [Benioff] has been talking a lot about apprenticeships and kind of training people for new jobs, and where the act of learning and the act of getting a job are sort of intertwined. I think that type of vision is a really meaningful thing, that we've really put our money where our mouth is as a company. 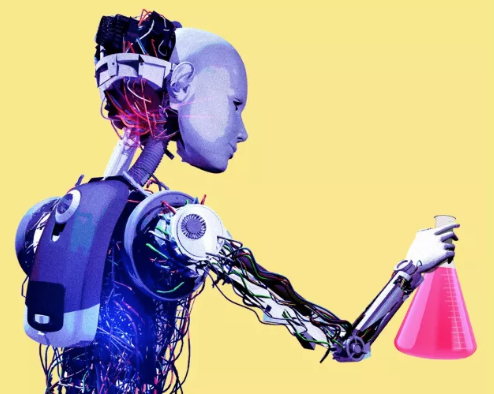 I think that as much as we are going to be a part of introducing this new automation technology, I think we also want to be a part of enabling people to retrain themselves in new skills, and there's sort of a moral obligation to be a part of that transformation. Quip and Slack and Trello all, in your own ways, reduce email or reduce meetings. How do you see these different applications coexisting? Are they redundant? All these companies, including ours and Salesforce, are focused on being a platform and a product, which is nice because it means that all these tools really can work together in a really meaningful way... On my television set, I think every device I have plays Netflix ... and I often don't even know which one I'm using. Similarly, I message my wife through like 12 different apps. I do think that it's sort of an issue. You know, like these messages can get sort of silo'd, the information gets silo'd. I think right now that's outweighed by the benefits of these different platforms. Is email ever going away? That's not going to change. I really view this as an industry-wide shift, so tools like Slack, tools like Quip, tools like Trello — there is a shift away from email towards applications that are maybe more nuanced, more expressive than what email was. I view it as a shift that started with mobile. So prior to mobile apps, the main way you could push information to an end user, a customer, was via email. So if you got tagged in a Facebook photo, we would send you an email, and you click on that link and go to Facebook back in the dark ages of 2007. And then with apps instead of sending you an email about being tagged in a photo, they would just send you a push notification and all of a sudden email is not sort of an intermediary between the application and you. And because of that, all of a sudden all these apps could exist almost on equal footing to email. You have a background in consumer services and social media — what influence does that have on Quip and Salesforce? I really think that people have different standards for the way applications work now. I think it comes from the App Store a little bit. You know it's that product you use at work and the product you use to communicate with your friends or your spouse or girlfriend or boyfriend. They live side-by-side, so if one feels clunky and one feels fast and elegant you really start to feel that —you don't have your work laptop and your home laptop anymore. Lastly, you are on a couple of company boards — Twitter and Axon (formerly Taser International). How's that going? I really like being able to see how other technology companies run, and how they deal with decisions differently or the same. Twitter, that was easy: I've been involved in social networking and social media for a long time, and I just really believed in the service and, you know, you've seen the past election and all these things. News is happening on Twitter now, and I wanted to be a part of helping that company succeed. [As for Axon], it's really interesting because the relationship between law enforcement and their communities is a really sensitive topic, and I think it's one company that's serving law enforcement that, if you talk to cops, they absolutely love this brand, love these products, but also help communities by increasing transparency, reducing death, and giving cops more tools to actually deal with challenging people, and that's a really cool opportunity... Police officers haven't always had access to the best technology, and I think that was a really interesting opportunity as well...Fundamentally that company is turning into a SaaS company, selling subscriptions to evidence.com and stuff, and so it's really neat that despite the fact that seems so different, it's actually not that different than a lot of other technology companies.